MP3-track Reggae Bob Marley & The Wailers - Live! Packaged in a tri-fold gatefold sleeve. Early orders on UMe (Universal Music Enterprises) came bundled with an exclusive "No Woman, No Cry (Live At The Lyceum, London)" 7" single, limited to 2,000 copies. 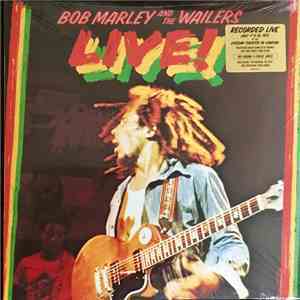 Download Bob Marley & The Wailers - Live!